Fixed alpha blending for the hacked OSD. The FMCB version number can now be accessed through the %VER% variable in FREEMCB.CNF, for the top and bottom delimiters. Updated for use with the latest PS2SDK. Updated to build with the new PS2SDK, for stability. This includes the use of the new USB modules. Changed all KELF/KIRX files to type 01 (Update files), for compatibility with Debugstation consoles. Changed PSX updater module to be loaded from a memory card instead. DVD video disc sector reading is now enabled by loading a dummy DVD player-flagged KIRX from a memory card. Cleaned up sources and corrected (non-critical, disassembly-related) mistakes in the v1.00 and v1.01 kernel patches. Added FSCK tool for FHDB. Removed HDD support for the PSX, allowing FMCB to boot on a PSX that has lost its HDD unit. Updated to be compilable with the latest PS2SDK revision. Compiled with the latest PS2SDK revision for stability. Updated to support FMCB v1.95. Enlarged output buffers for S-commands within SECRMAN to 16-bytes, as CDVDMAN can assume that these output buffers are 16-bytes long. Added support for DEX units. HDD unit will only be shut off if HDD support is disabled. Added warning messages for users of unsupported consoles (ROM v2.30) and for users with HDDs that need maintenance/replacement (for FHDB). 2016/01/06 re-release:Fixed language support and ESR support, and added a warning against the use of multi-installations. 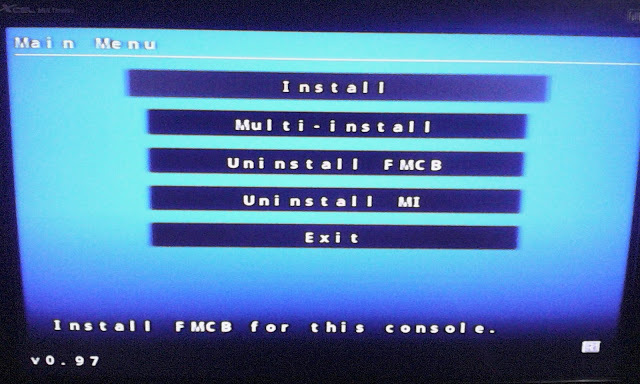 2016/01/07 re-release:Added support to install FMCB for the PSX with a PS2, and a free space check for the HDD unit. cara install nya gmna gan? bsa ksi tetorial gk..
sudah ada cara installnya mas? 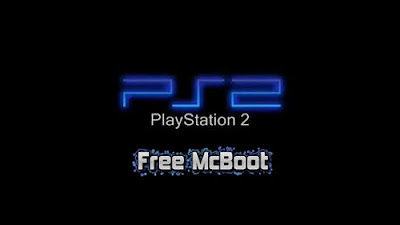 ini freemcboot kompetibel dengan ps2 scph90006? Mas ,tlg minta file utk install mcboot spch 18xxx donk .krm filenya ke mikoirwanda4@gmail.com . Format harddisknya sudah FAT32 blm? Itu mungkin masih format NTFS..
Ubah formatnya pake FAT32FORMAT.exe bisa kok..